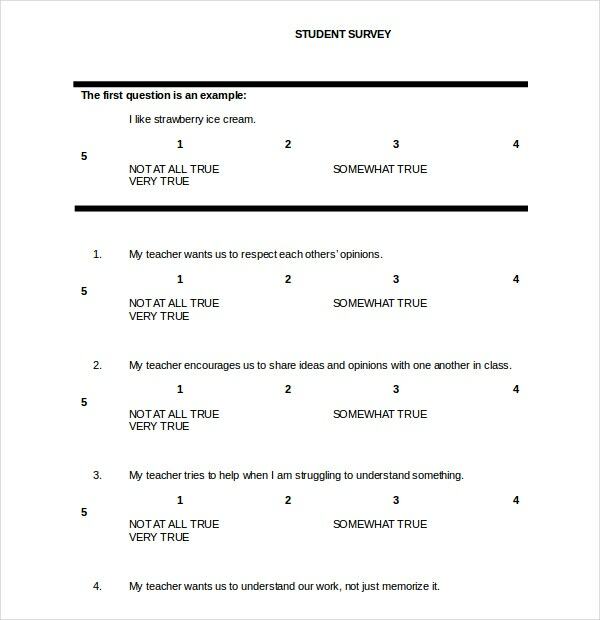 Student survey templates normally carry two types of information, first, you can make a judgment about the academic performance of a student and secondly, you can also take a judgment about the mental status as well. 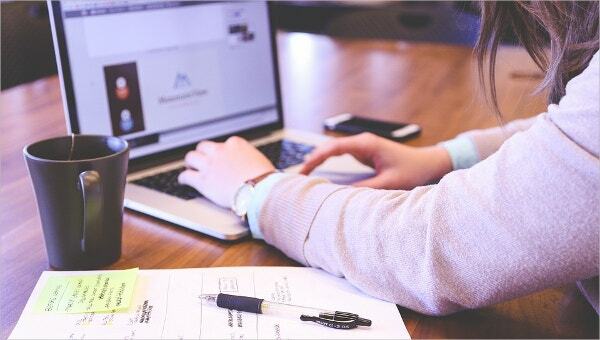 Many prudently designed templates procured in a word, excel and PDF can do this job with great ease for you. We are using this word prudently because these specimens allow you to read their behavior based on a multidimensional basis. 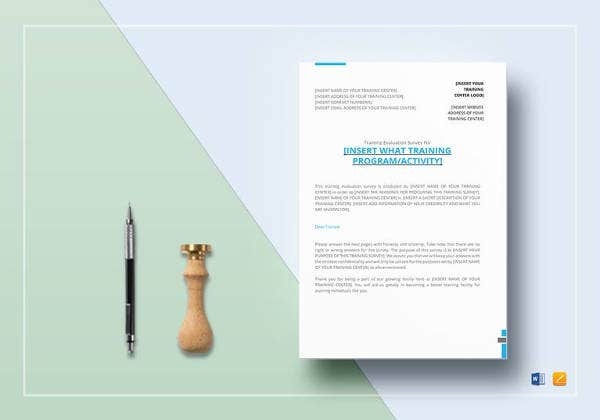 You can also see Training Survey Template. 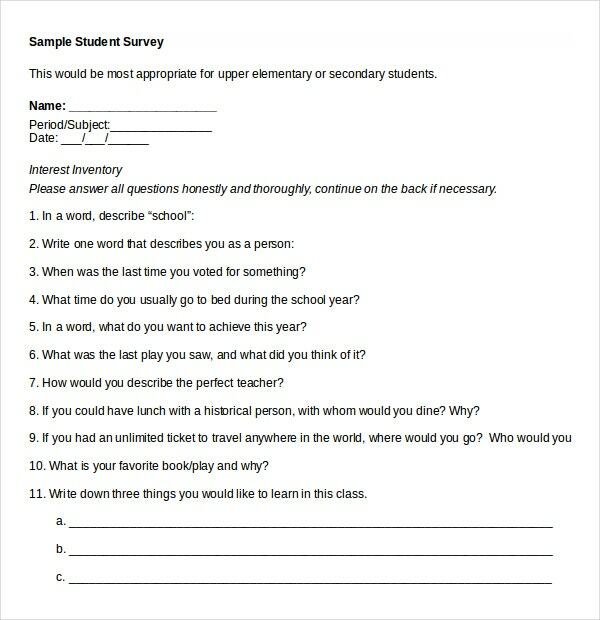 Student survey samples also allow you to keep this data in a systematic fashion as well if you are choosing an excel sheet then with the help of some Programming Survey Template Intervention you can chalk out meaningful reports with great ease and keep a monitoring on the overall growth of the student. 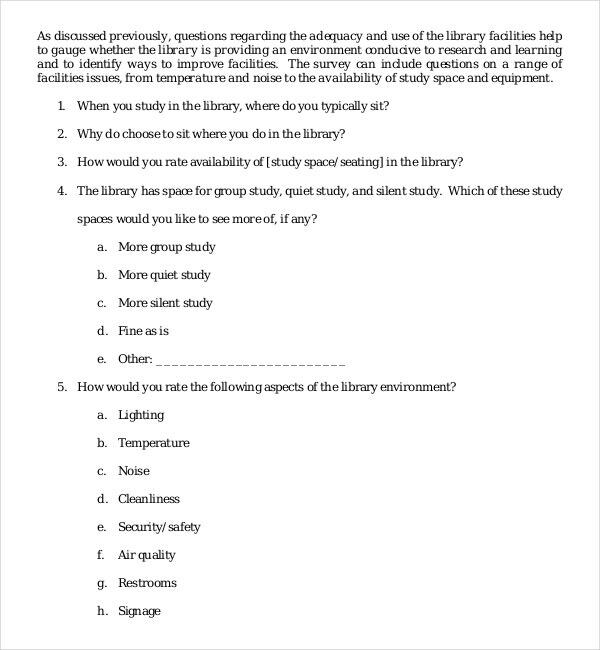 The student survey templates are used for multiple purposes. First and foremost they are used to conduct a survey of the overall academic performance of students during the course of the academic year. 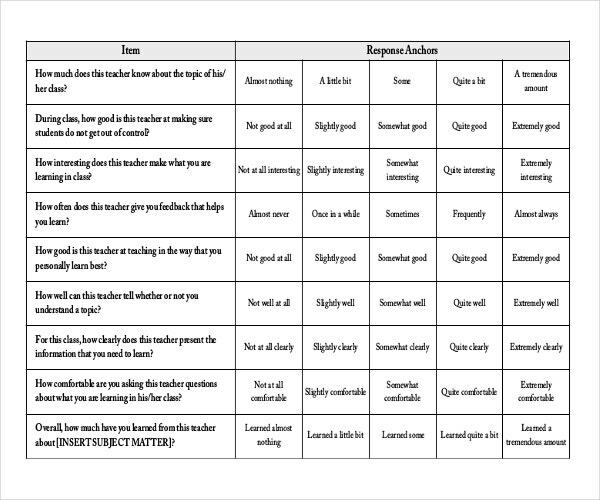 Another reason to use the student survey templates is to gauge and analyse the mental health and well being of the student. 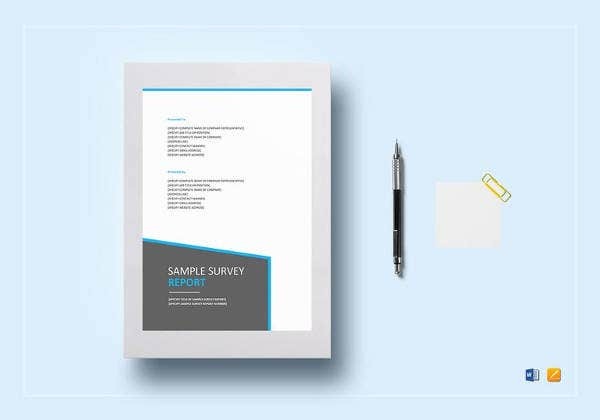 In some cases the student survey templates are also used to gauge and analyse the student’s various interests and how satisfied they are with the facilities and activities provided by the school or university. 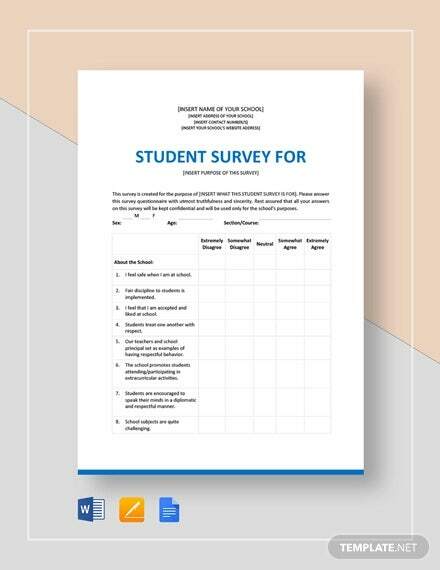 The main purpose behind the student survey templates is to be able to keep a record of the student’s overall performance. 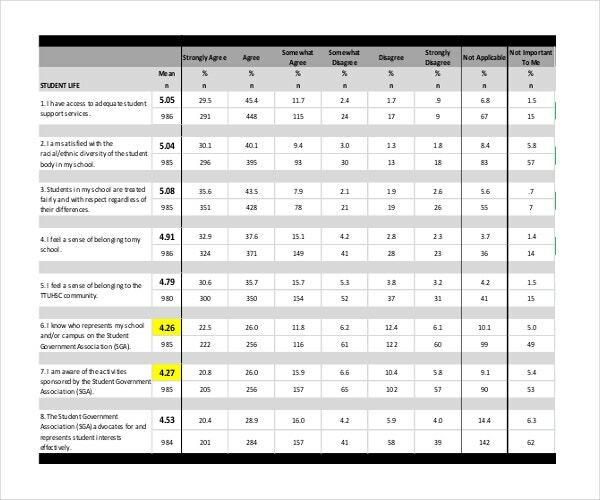 Once the survey is conducted and the data has been collected, it can be used for referral purposes and to even compare it with previous year performances. 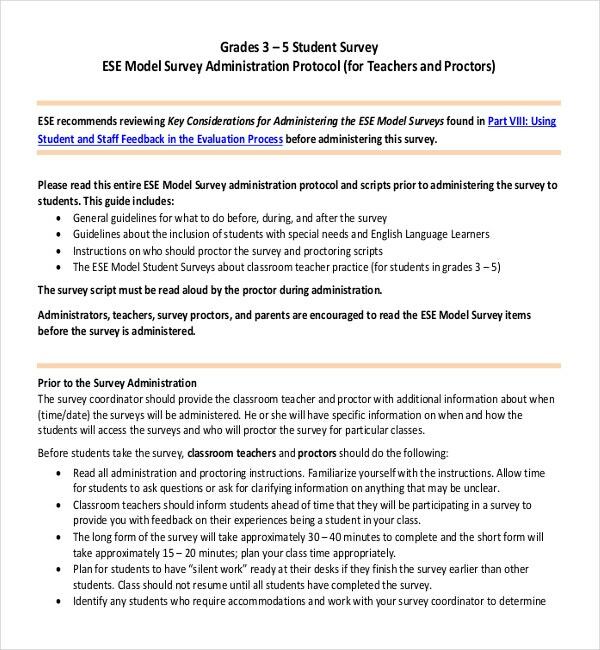 Using the student survey templates can be extremely beneficial for the school’s faculty as well as the student’s. 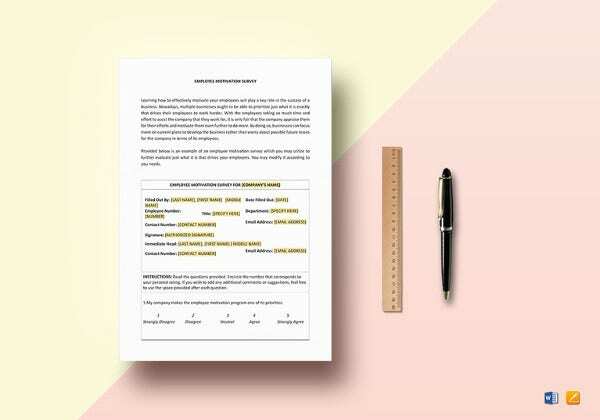 Having proper records of the students’ performances can help teachers to understand how to teach the students in a manner that can enhance their overall performance. Additionally, it can also help teachers to keep track of the mental health and well being of the students. 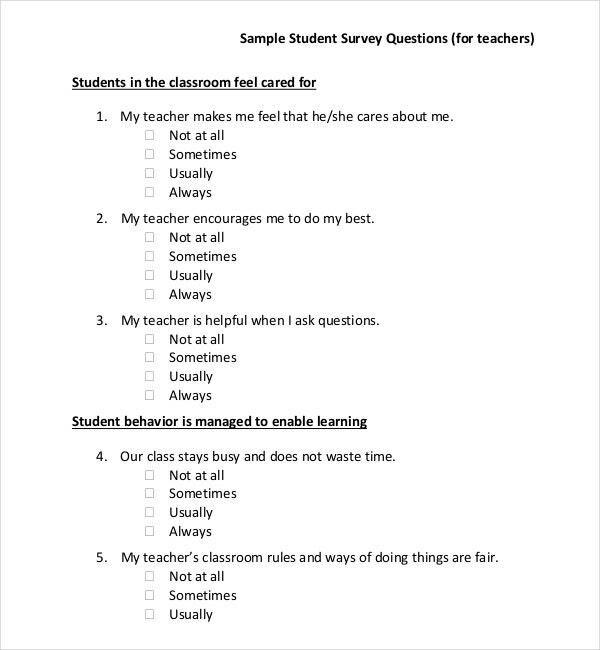 If the survey results suggest that a particular student is slipping in overall performance or mental status, the faculty can immediately take steps to rectify the problem and help the student out. 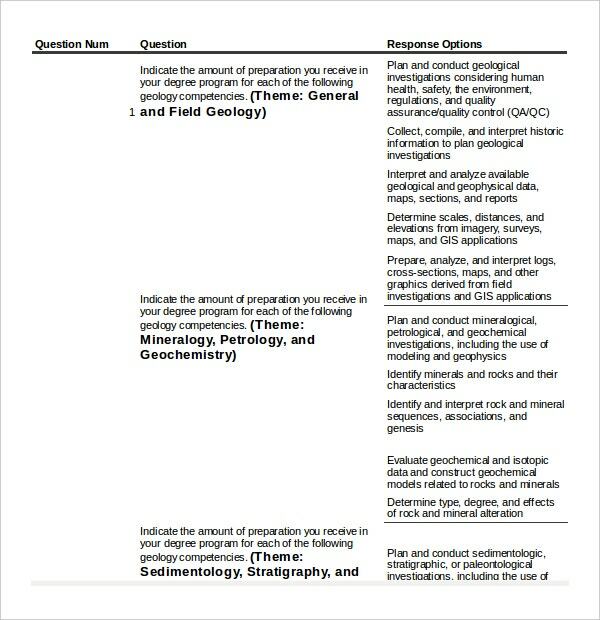 You need to select a student survey template in accordance to the kind of student survey you wish to conduct. 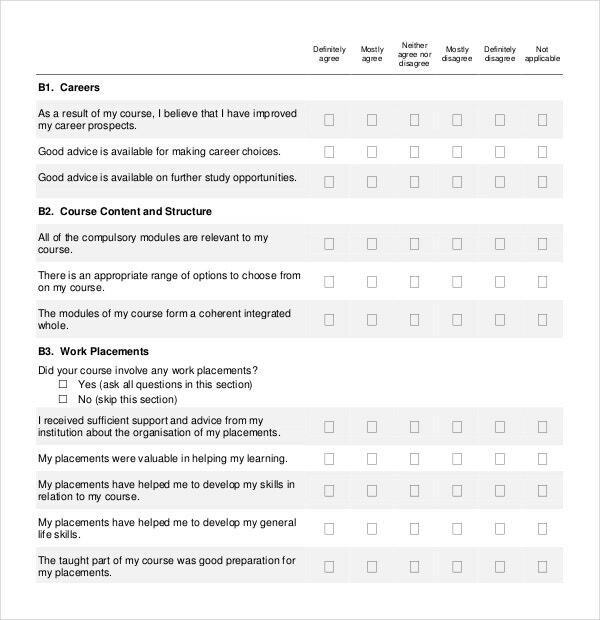 For instance, if you want to conduct a survey to keep track of the overall performance of a student during the academic year, you need to select a survey that enlists questions on student services, general facilities, the courses being undertaken by the student, outcome of the student’s studies to date and so on. 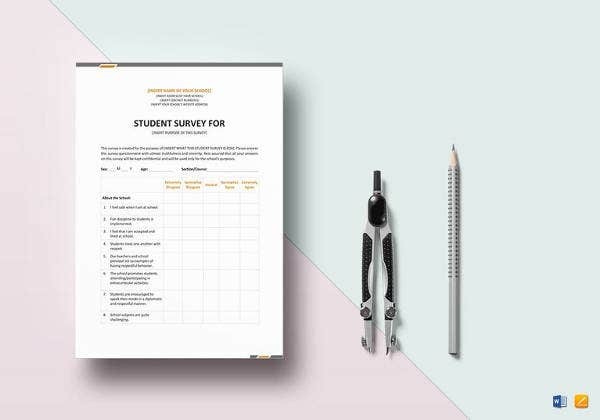 On the other hand if you wish to conduct a survey on the interests of a student, you need to select a survey that has questions such as favorite books, favorite sports and other relevant questions.